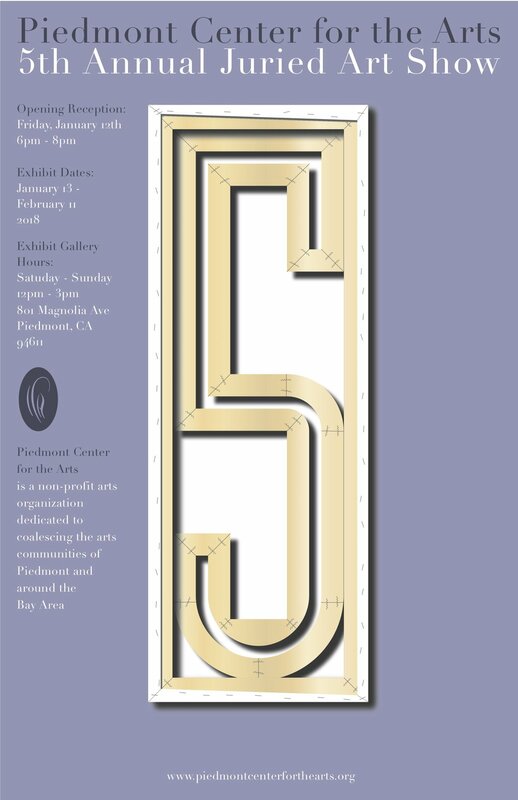 The 5th Annual Juried Art Show presented by The Piedmont Center for the Arts is a juried art exhibition selected from submissions highlighting a large variety of contemporary 2-dimenional works by Bay Area artists. Featuring original art created within the past two years, 35 pieces will be selected by guest jurors Carin Adams, Oakland Museum of California, Associate Curator, Art and Material Culture and Jenny Gheith, Assistant Curator of Painting and Sculpture, San Francisco Museum of Modern Art. Cash awards of $4,000 allocated to juror-designated award winners. ELIGIBILITY: Must reside/work within the nine countries of the Greater Bay Area Artists including: Alameda, Contra Costa, Marin, Napa, San Francisco, San Mateo, Santa Clara, Solano, and Sonoma. The Piedmont Center for the Arts is a non-profit arts organization dedicated to coalescing the arts communities of Piedmont and around the Bay Area.